The weather may not be fine outside the window. Nonetheless, when I look at my computer screen at this remarkably well-designed web application, I can’t help but marvel. Weather apps are getting some good treatment at the hand of designers. 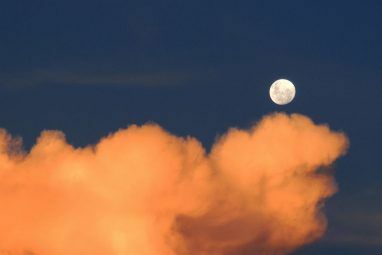 My friend, Dave posed a winter question – What Are The Best Weather Websites What Are The Best Weather Websites? What Are The Best Weather Websites? I'm rather obsessed with the weather. It's not my fault, it's just that I was born and brought up in the U.K., and all British people are obsessed with the weather. I think it's because... Read More ? The weather websites listed are some of the most well-known ones. Greatly informative…but conservatively designed. I think smartphones spoilt us with their beautifully designed weather apps. Mac might have its widgets, but Windows isn’t far behind with its weather apps for the desktop Is it Raining? 4 Beautiful & Free Weather Apps For Windows Is it Raining? 4 Beautiful & Free Weather Apps For Windows "Will it rain later today? ", "What's the temperature outside right now? ", "Will it be warm this weekend?" These are just some of the questions we ask about the weather every day. Getting answers to these... Read More . Let’s get back to the web. A weather forecast website should be designed to make gloomy weather a bit palatable. The appropriately named Forecast.io ticks most of the boxes; including the one that says – elegance. Take the first look at its interface, and I am sure you will agree with me that good design matters. By the time we end this article, I hope you will agree that good design and easy-to-grasp weather data without dumbing it down, matters more. Forecast.io is designed for use as a web application. It also has mobile versions of the site which are equally fluid. The same thought to design has been put into all three platforms. Forecast also provides its API for commercial and non-commercial use. Developers can use the API for any location based forecasts in their own applications. Forecast is a full-featured weather service that covers the globe for seven days a week, 365 days a year. Its antecedents lie in Dark Sky, an app for the iPhone and iPad, and a successful Kickstarter project. The Data Sources: A weather application can only be good as its data sources. Forecast taps into 16 data sources like the U.S. NOAA and the U.K. Met Office among others. The application collates the weather models and statistically processes it for display. Weather information can get intricately complex; something the normal person on the street might have no use for. Forecast uses beautiful visualizations to simplify the information, but it also knows that a certain section has need for more detailed minute-by-minute weather information for special occasions like sailing or fishing. Details are hidden for the sake of simplicity, but are also a click away. I did say that the web application is beautiful and elegant. That’s a combination difficult to achieve always. Forecast has managed to condense all the vagaries of the weather with some stylish visualization. The app can auto-detect your location and presents the immediate information front and center. Clicking on the + icon next to Right Now breaks down the weather to its variables – wind, humidity, visibility, and pressure. The movement of temperature is always worth noting, especially in humid areas like the one I am in. The weather globe that displays rapidly developing weather fronts is the centerpiece, or at least the one feature which draws the eyeballs. 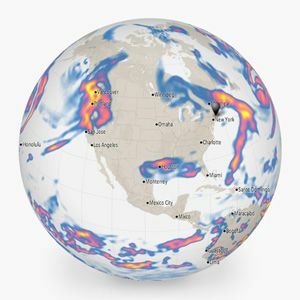 The animated globe is actually a weather radar visualization that is helpful to understand how storm systems will develop and evolve world-wide. You can scrub up to a week into the future using the slider to see how weather fronts will potentially develop across the next seven days. Give the slider a few seconds to load. You can also drag the grey pin to different areas on the globe and explore the weather there. Forecast pares down the complexity of the weather data with easy-to-understand text summaries as you can see in the screen below. The little animated icons (made with HTML5) are a nice touch. But there’s more below the surface. Click on the text summaries to reveal the specific details. The prediction engine gives you the 24-hour picture quite graphically. I liked the fact that the color codes give me an idea of the time window for the specific weather variation. Weather records from the past (nearly a 100 years) have reportedly gone into creating this prediction engine which can not only explore the past weather at any given location but also give you statistical forecasts for any day in the future. Forecast.io cites an example – For example, say you have an outdoor family reunion in 6 months: with the time machine, you can see what the likely temperature and precipitation will be at the exact day and hour. It’s important to note that the feature is experimental and we are talking about the “weather” after all. So is the app. 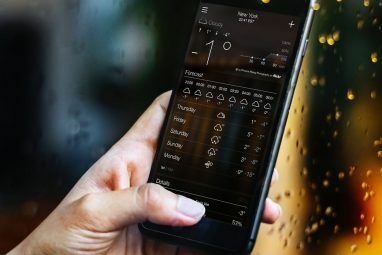 Forecast (and its mobile versions accessible with a web shortcut) should appeal to the family which wants to just look-up the weather without getting mired in too much data. The visual chutzpah is just the magnet to make this application reserve a bookmark all for itself. Once you start using it, it’s only a matter of time before you go into the details and make yourself a bit more weather literate. I am a normal guy who just wants to know if I should pack my windcheater or grab my sun lotion. It would be really read worthy for someone knowledgeable about meteorology to give this application a once-over in the comments. What do you think about Forecast.io? Is it one of the more polished weather apps around? If not, tell us about your favorite. I've been using this app for several weeks. I love it. It's so simple and elegant. Not clunky or slow like a lot of other weather apps and sites. finally a decent weather app that i was looking for. well done!!!! Seems like Forecast.io works only with the latest versions of Firefox. I tried to access it with Iceweasel 10.0.12 and was told to update my FF. No message with FF 20.0 Forecast.io does not state which versions of Firefox it does work with. The user just has to guess. The Forecast.io interface is more pleasing than at other weather sites. However, how informative it is is to be determined. I like the ability of adding or deleting locations as I don't need weather report for London and Sydney but could use one for the beach I go to. The lack of extra features, such as news stories, is both good and bad. Good because the display is not cluttered with extraneous junk. Bad because I've gotten used to being informed of newsworthy weather events at the same time as I'm checking local weather. I will still have to go to WeatherChannel.com or accuweather.com.